With the sun setting on IKEA’s Akurum kitchen system and the Sektion launch just a few weeks away, we thought we’d share what we know for sure (don’t hold us to it, but it’s all on good authority). 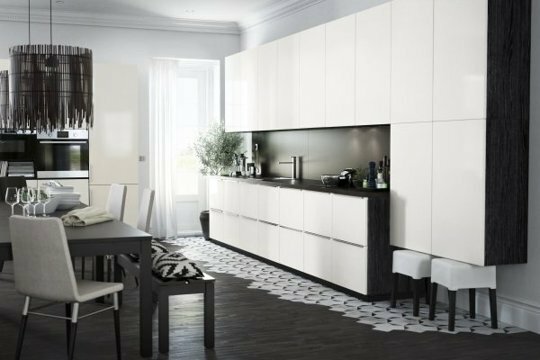 SEKTION will build on the great innovations that the AKURUM system has such as soft close drawers and doors, a wall mounted rail system for easier installation, and a 25 year limited warranty. 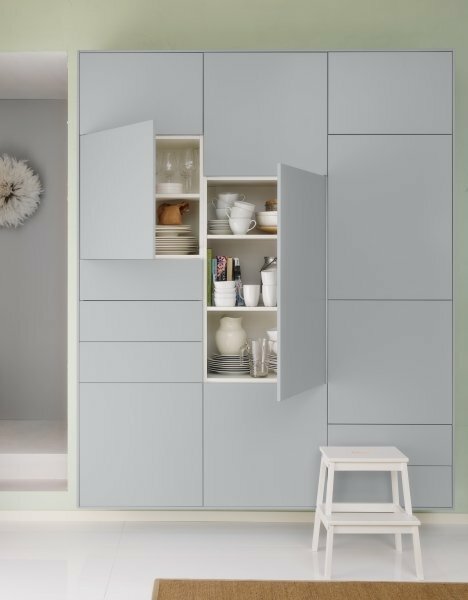 However, SEKTION is a more modular system which will offer new opportunities to use the interior space inside each cabinet. Plus, it will offer a new system for integrated lighting. The AKURUM and SEKTION systems are NOT compatible systems. This means that you cannot use SEKTION components with an AKURUM kitchen system. Intriguing, right? For the record, yes, for companies like ours there is the challenge of having to recalibrate the measurements of each particular IKEA door, drawer and panel part to match Sektion. The truth is, though, we’re kinda thrilled with the fact that once the current stock of Akurum fronts disappears from IKEA shelves (and eBay and Craigslist), they are absolutely-positively-one-hundred-percent gone for good. Period. No exceptions. Look for that to happen around October. At that point, anyone with Akurum that wants an upgrade or an extra door or needs to replace an old, faded or failing part… we’ll be here, we promise (there are a lot of Akurum kitchens out there!!). Everything we’ve seen so far looks great (see the pics of the Metod system below that’s already in play overseas and a good barometer of what’s to come). Granted this stuff is sleek and contemporary (and not likely to be a huge seller in Middle America). We’re still impressed. For die-hards, almost all the old styles of doors should be back. For everyone else, well, that’s where we come in. Proportion-wise, things definitely make a lot more sense. Think stylishly boxy. Modular is the name of the game – it’s been that way forever in Europe, so it’s nice to see that finally catching on over here. 1) February 2 is still the launch date. That part hasn’t changed. The fact that they’re releasing the new planner the same day is the real head-scratcher, though it wouldn’t be the first in the last few months (see our post on IKEA’s fight with IKEAhackers). Really, what’s the harm in putting the design software up a month early so customers have time to play around with the design and be ready to order the day it debuts? We get it: it’s new. You want the mystery (that’s what we’ve hard from a few people). Really? Why? This is a big investment, people spending a fair amount of change usually don’t like surprises, and anyway Metod has been available in Europe for a while now. IKEA is actually debuting the Sekton line this week in Toronto at the massive Interior Design Show (Canada’s answer to ICFF). We’re as excited as anybody to see all the whistles and bells; we’ll also be exhibiting, with doors for Akurum, Pax, Godmorgon, Besta and Kallax cabinets. Stop by booth #320 if you’re at the show, otherwise stay tuned for photos in the next few days! Yep, they’ve gutted most of the Akurum displays and what remains is pretty spartan. 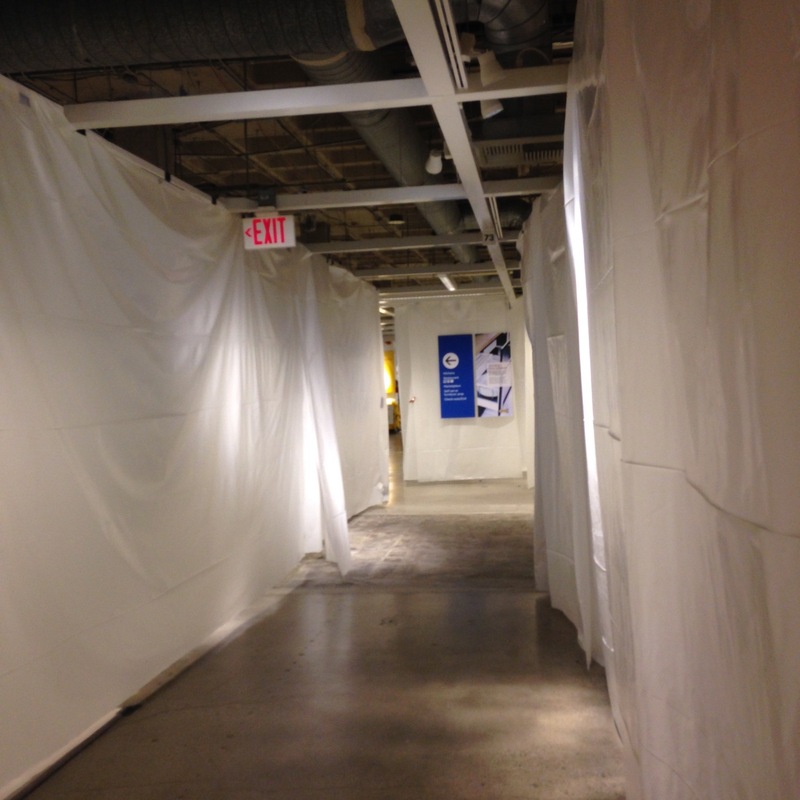 It’s also noisy with all the hidden construction. 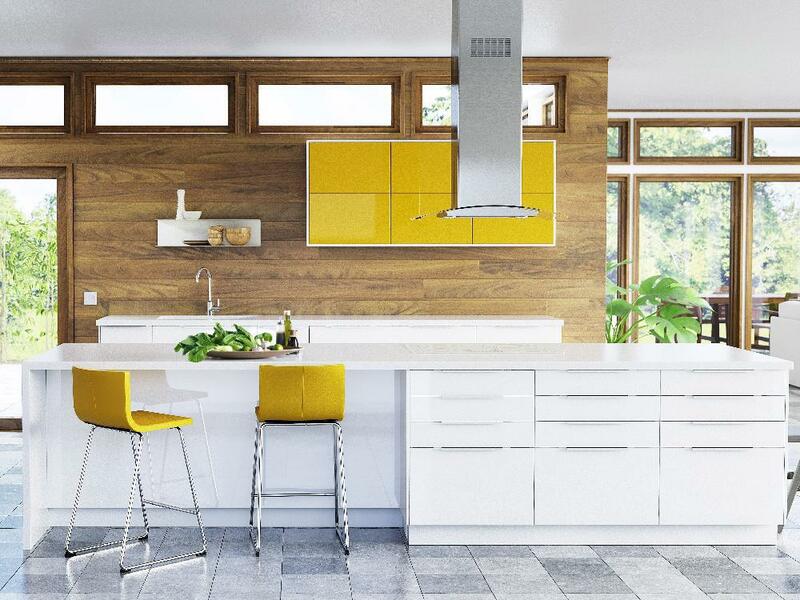 Cabinet boxes and hardware are still plentiful, but certain doors – especially the popular ones like Lidingo and Adel and some of the Abstrakts – you may have trouble pulling together for a complete kitchen. 3) Doors names will change. It sounds like most of the material offerings will be the same with the exception of a few Abstrakt doors that are being swapped for new colors (we hear green and yellow accent doors are coming). 4) Dimensions have changed, too. Cabinet box dimensions – width and height – are slightly different; we’re told a 30″ base cabinet will now really truly be be 30″ wide and 30″ high. And standard wall cabinets come 15″, 20″, 30″ and 40″ high and are 15″ deep. That means you can stack two 20″ high boxes next to a single 40″ and they actually line-up (unlike stacking two 15″ tall horizontals next to a 30″ wall cabinet and, well, you know… not so matchy!). Speaking of horizontals, there is now a 60″ wide door that allows you to cover two 30″ wide side-by-side flips-ups. 5) Interior hardware has been updated. 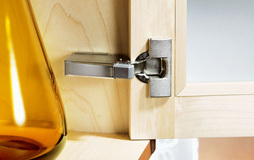 Hinges and drawers are still made by Blum, but they’re newer and sleeker. Drawers have multiple options, and accessories like glass sides for the deep ones are there to prevent all those goodies from spilling out. 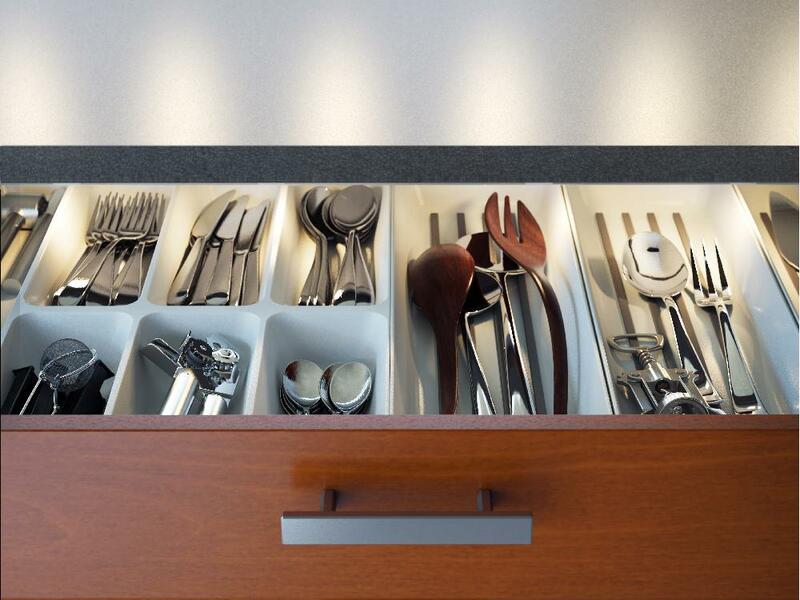 6) Drawers now have the option of interior lighting. See photo below. 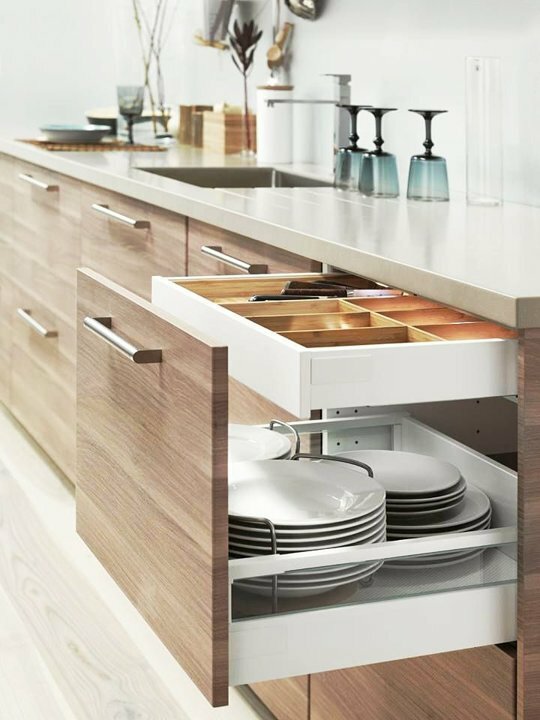 7) Exterior drawer heights come are 5″, 10″ and 15″. So you can have six 5″ drawers, or two 15″ drawers, or three 10″ drawers, or… yeah, you get it. You can also hide drawers within drawers (as seen above) for a cleaner look. 8) Pantries now come 80″ and 90″ high. These are small tweaks from the Akurum version, but with an 80″ you can stack two 40″ wall cabinets neatly beside it, and with the 90″ you can stick, for example, three 10″ drawers on the bottom – to stay consistent with your other 30″ high base cabinets/maintain the line – then add that aforementioned 60″ door on top (the old way had the taller door on the bottom, remember?). And that same 60″ door works for the two side-by-side horizontal cabinets mentioned in #4. 9) Price is said to be only slightly more than Akurum. We’ll see in a few weeks. Hardware is where things can really get expensive, but obviously how fancy somebody wants to get with their project is totally on the homeowner. 10) That Limited 25-Year-Warranty on Akurum remains. Never an easy proposition on a product that has been completely discontinued, but IKEA seems confident they can honor it. Key is the word Limited. For now, here’s the information from their website. That’s all for now. We’re definitely excited. Check out our website for updates! This entry was posted in Deep thoughts, IKEA cabinets doors, IKEA Ecosystem, IKEAhackers, Uncategorized and tagged Akurum, Apartment Therapy, Doors for IKEA cabinets, Dwell On Design, ICFF, IKEA Kitchen, IKEA Sektion, Interior Design Show, Sektion, Semihandmade doors, Semihandmade IKEA Kitchen by Semihandmade. Bookmark the permalink.